Windows Live is pretty eye candy, no wonder most of us like it. Well, if you like Windows Live then here’s something cool for you. 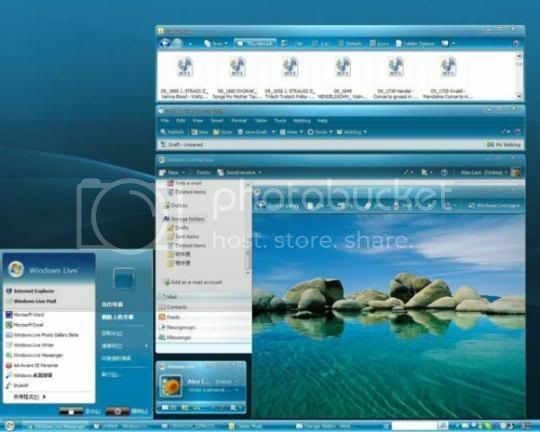 It’s a Windows Live theme for Vista and XP! It’s as attractive and eye candy as Windows Live. The theme looks pretty much same as the Windows Live website. The theme is packed with 4 cool wallpapers. It also contains a separate skin for Windows Sidebar. To install the theme you need to have custom uxtheme.dll file. If you’re using XP SP3 then click here and if you’re using Vista SP1 click here for detailed installation instructions on installation.